Our body has an innate ability to heal itself. The healing comes from within. If you get a minor cut on your finger or arm you don’t run off to the hospital. The body will trigger its own healing process and without you even doing anything, it will heal itself. Sometimes, to help the process of healing, we can provide some supportive treatments. In the above case, if you rub some Arnica gel or Homeopathic Calendula ointment, it will enhance the healing. Similarly, when the thyroid slows down or fastens up, by providing some natural treatments, it can correct itself. One of the tools that helps me find out what your thyroid gland may need to heal is the Micronutrient Test. Wouldn’t it be nice if you could just know which supplement your body needs so you don’t have to take so many? With micronutrient testing, this is possible. Micronutrients are vitamins and minerals required in small quantities that are essential to your health. In fact, your internal body works on a complex maze of biochemical pathways. These biochemical reactions take place inside your cells and are responsible for all the bodily functions to happen optimally. Micronutrients are required in various stages of these biochemical reactions. Overwhelming evidence suggests that a lack of these vital nutrients has a profound impact on the body’s immune system. Thus, adequate intake of these vitamins and minerals could mean the difference between a healthy life and a life fraught with disease. In order for your thyroid gland to produce adequate hormones, certain nutrients are essential. Please refer to the picture provided by SpectraCell Laboratories that explains this. SpectraCell’s exclusive Micronutrient Test is a comprehensive nutritional analysis of the body’s intracellular function. It measures 35 selected vitamins, minerals, antioxidants and other essential micronutrients within your white blood cells. This analysis can reveal a person’s functional nutritional status over a much longer period of time than conventional static serum testing. What’s done is the blood is drawn and sent to the lab where they grow the white blood cells for three weeks. It’s an intracellular look at these white blood cells, upon which the report of the micronutrient status is regenerated. They provide a nice report, both graphically and numerically which is easy for the patient to understand. 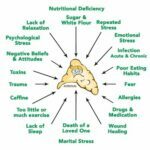 The report not only shows what you maybe deficient in and by how much but also provides a repletion protocol plus how to correct this deficiency with food choices. I show a sample report to my patients to see what to expect upon doing this test. For example, a sample report will show that a patient requires oleic acid, glutathione, and vitamin E and even how much of each nutrient is necessary so then you may take them through a supplement. Dietary sources of these nutrients are also mentioned. Thus, the person can make food choices that are rich in these nutrients. Based on the result of the micronutrient test, I can correct nutrient deficiencies in my patients and personalize their treatments. During the initial stages of my thyroid problem, I had a micronutrient test performed and found out I had three deficiencies. I started supplementing those and felt much better. It gave me some justification and a feeling that it was possible to correct this problem. In some patients I have seen life changing results with just correcting the nutrients. Like I had one patient who was a teenage girl who did not want to do anything but sleep since she felt extremely tired and had joint pains. By correcting her nutrient status based on the micronutrient test results, she was able to get up and do things. Her mom personally came to thank me since she saw her daughter jump, move and excited to do things after almost 5+ years. So now lets talk about the nutrients that are essential for proper thyroid functioning. From the picture, you see that many nutrients play a role in appropriate thyroid functioning and the best way to find out what your cells need is via a Miconutrient Test. Yet, I have 5 supplements that I commonly suggest to my patients with Hypothyroidism and Hashimoto’s Thyroiditis. Prevention of disease is important and listed above as one of the 6 fundamental principles. If a patient is in early diagnosis of hypothyroidism or showing positive thyroid antibodies but the thyroid tests are within normal ranges but patient is presenting with symptoms of hypothyroidism, I start them on Thytrophin PMG, a whole food-based supplement. It is made by Standard Process which is an almost 100-year-old supplement company. It uses DNA and RNA extracted from the gland of the animal, the potent glandular tissue. What it does is it helps to lower the thyroid antibodies. It’s a useful supplement that I used when I was diagnosed with Hashimoto’s. Thytrophin PMG helps during molecular mimicry because it will attach to the antibodies and reduce the numbers. The starting dose is usually 2 tablets per day with food. Selenium is required for the conversion of the T4 to the T3. Now if you remember, T3 is the active thyroid hormone that the cells utilize to produce energy. Sometimes we will run the thyroid panel and the T4 seems fine but the T3 is low. Deficiency of selenium causes classic hypothyroid symptoms such as fatigue, depression, and weight gain. The best dietary source of selenium is Brazil nuts. Eat a handful of these as a snack every day. Otherwise, it can be taken in a supplement form called Selenomethionine in doses about 200 micrograms per day. Vitamin E, 400 IU ’s, if taken with selenium, helps to facilitate its absorption. A deficiency in B6, B12 or B9 (folate) can cause elevated homocysteine, which is linked with hypothyroidism. Elevated homocysteine levels can cause increased inflammation, irritation of the blood vessels, heart disease, neurological problems and other symptoms. B Vitamins play a vital role in different biochemical pathways of the body and are essential for numerous bodily functions including the thyroid. I recommend use of an active B complex to be taken daily with food. Hypothyroidism decreases efficacy of some antioxidants, such as glutathione peroxidase and superoxide dismutase. Antioxidants are needed to kill the free radicals that are generated due to oxidative stress. Therefore, it is essential to have good levels of this “master antioxidant”. Found in virtually every cell of the body, glutathione plays essential roles in protein synthesis, synthesis and repair of DNA, enzyme function, transport, and cell maturation. Optimal levels of glutathione have been associated with physical and mental health. The highest concentration of glutathione is found in the liver, where it offers antioxidant support, protects tissue and maintains detoxification. Liposomal Glutathione or Nrf2 are supplements that I recommend to increase glutathione levels. Glutathione is also available in IV injectable and transdermal forms. Adequate levels of iron are important for thyroid function. Many women that come to see me, test deficient for iron, and this does affect their thyroid hormone production. Serum Ferritin is an accurate way to check for iron levels. Most of the iron supplements that are available in the market cause constipation. I would choose a form of iron that is easily absorbed and is not constipating. I recommend Ferrasorb which is a complete blood-building formula with folate B12 and iron supplement. It provides the active forms of vitamin B12 (adenosylcobalamin and methylcobalamin) and folate (folinic acid and 5MTHF) and includes well-absorbed non-constipating iron picolinate. If you prefer a liquid form, then I recommend Floradix, which is a plant-based iron and also works really well. Ashwagandha is known as an adaptogenic herb. Adaptogen herbs mean they help you adapt and deal with stress. They adapt to the need. Thus, it would help in both hypothyroid and hyperthyroid conditions by optimizing the thyroid hormone production. In ayurvedic medicine, the literal Indian meaning of its name is “smell of the horse”. I think about it like this, when you take this herb, you will feel the horse power. Kelp is one food that has a plethora of iodine in it. Iodine is one of the minerals required in formation of the thyroid hormone. Kelp, or bladderwrack, is a brown type of seaweed which people have used when traditional medications have not worked in fighting thyroid issues. Kelp can come in many forms. First, kelp can be eaten raw in its seaweed form. People may also try kelp in teas, supplements, or extracts. Fucus vesiculosus is primarily used to enhance thyroid function in cases of goiter and as an aid in weight loss for obesity. It is a good source of iodine. This herb works best for those who have an underactive thyroid. It helps to give the body energy, which makes it perfect for addressing the fatigue that often accompanies low thyroid function. Siberian ginseng is a gentle stimulant that will give you that boost of energy you want without the crash later on. Sometimes referred to as stinging nettle, this is thought to be perhaps the perfect thyroid tonic, as it offers a balance between those suffering from an underactive thyroid or an overactive thyroid. Nettle is especially good for those with an underactive thyroid because it helps to reverse an iodine deficiency. When someone with hyperthyroidism or Graves’ Disease follows a natural treatment protocol, the obvious goal is to restore their health back to normal. 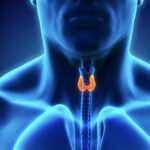 However, initially it is important for the person to manage their hyperthyroid symptoms. Motherwort has numerous functions, but when given to a person with hyperthyroidism, you can think of it as a natural beta blocker, as it can help with symptoms such as tachycardia (high heart rate), and palpitations. It has some antithyroid activity as well, which of course would be even more beneficial for hyperthyroid conditions. 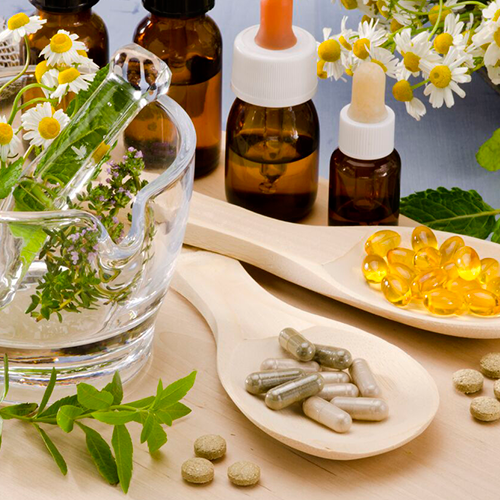 Homeopathy is an art and science. It is a medicine that is based on the philosophy that like cures like. Thus, to find the best medicine for a person, you must match the symptoms of the person to the medicine that has been proved prior with similar symptoms. Let me list the medicines that have been most helpful in patients with thyroid disorders. This medicine will help patients with a hard goiter who have a sensation of constriction. They may have swelling and induration of the cervical glands. It works in people with dark hair and eyes, emaciated, and one who sweats easily. This works for people with painless enlargement of glands and who are prone to glandular enlargements in general, beyond thyroid gland. It works in people who are fair, fat and flabby who get easily tired with much sweating, cold extremities and sour smell of the body. They have tendency towards obesity. Helps people with nodulated goiter. Glands of the right side of the neck are swollen. They experience shooting pains and are worse in the damp weather and at night. It works for people who are emaciated, with a pale and sunken face. They have usually exhausted and are prone to rheumatism. Prone to goiter, thyroid glands swollen with suffocative paroxysms at night. Feels as if has to breathe through a sponge. It works mostly for women and children having light hair and fair complexion. They get cold easily. This is made from dried gland of sheep or calf. A state of puffiness and obesity may be regarded as a keynote indication for this medicine. These people crave sweet and have thirst for cold water. They are sensitive to cold. A low carb diet does not work for people with hypothyroidism. To activate the T3 hormone, good carbs are essential. Essentially, carbs from fruits and vegetables are good. Let me list the foods for you to incorporate in your diet. You can take a print out and stick it on your fridge and remember to use them when you are preparing your meals. I referred to the book called “Thyroid Healing” by Anthony Williams. In his book, he mentions “Thyroid Grab & Go Combos”, ex: Cauliflower florets + apple slices together bring down inflammation on your thyroid. Another one is Kale + Mango, this combination of alkaloids & carotenes allows them to easily enter the thyroid and stop the growth of nodules and cysts there. Please follow my Facebook Page, Dr. Meghna Thacker and keep an eye for “Foods that Heal your Thyroid Recipes”.